Only current enrollees in the Veteran Intern, Office and Clerical Support on-the-job training programs in the service of the County of Los Angeles approved by the Director of Personnel may compete in this examination for permanent appointment to the Intermediate Clerk position in accordance with Civil Service Rule 6.02(3). Applicants must have completed a minimum of six (6) months or more as a Veteran Intern, Office and Clerical Support in the County of Los Angeles. No withhold is allowed in this examination. This announcement is a rebulletin to reopen the filing period and update Application and Filing Information. Persons who have already applied within the last 12 months need not reapply, but may submit additional information by the last day of filing. The information must include your name, the correct examination title and number. Six months of office clerical experience in an on-the-job training program as a Veteran Intern, Office and Clerical Support* approved by the Director of Personnel in the County of Los Angeles. 2 - Light. Light physical effort which may include occasional light lifting to a 10 pound limit, and some bending, stooping or squatting. Consideration walking may be involved. * To qualify, applicants must hold the payroll title of Veteran Intern, Office and Clerical Support, in the service of the County of Los Angeles. No out-of-class experience will be accepted. Applicants must meet the Selection Requirements and receive a passing score of 70% or higher in order to be placed on the Eligible Register. Candidates who have taken identical written test part(s) for other exams within the last 12 months will have their written test scores for the identical test part(s) automatically transferred to this examination. This examination contains test parts that may be used in the future for new examinations. Your scores will be transferred to the new examination and you may not be allowed to re-take any identical test parts for at least a year. Applicants may receive written test notice via email and are responsible for providing a valid email address. Please add jcheung@hr.lacounty.gov to your address book to ensure the emails reach your Inbox. An interactive Online Test Preparation System for taking practice tests may be accessed on the Department of Human Resources website at: http://hr.lacounty.gov . and click on "Job Info Center." In the Section "Some Helpful Links," click on "Employment Test Preparation." You can also access practice tests for the computerized portion of the test by going to the following website: http://www.shldirect.com/practice.tests.html . 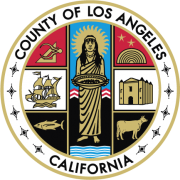 The resulting eligible register for this examination will be used to fill vacancies at various departments throughout the County of Los Angeles as they occur. Fill out your application completely. The acceptance of your application depends on whether you have clearly shown that you meet the Selection Requirements. Provide any relevant education, training, and experience in the spaces provided so we can evaluate your qualifications for the job. For each job held, give the name and address of your employer, your job title, beginning and ending dates, number of hours worked per week, description of work performed, and salary earned. If your application is incomplete, it will be rejected. SOCIAL SECURITY NUMBER: All applications must enter a valid social security number at the time of filing. Entering anything other than a valid social security number (i.e. 000-00-0000, 111-11-1111, etc.) will result in an automatic rejection of your application.